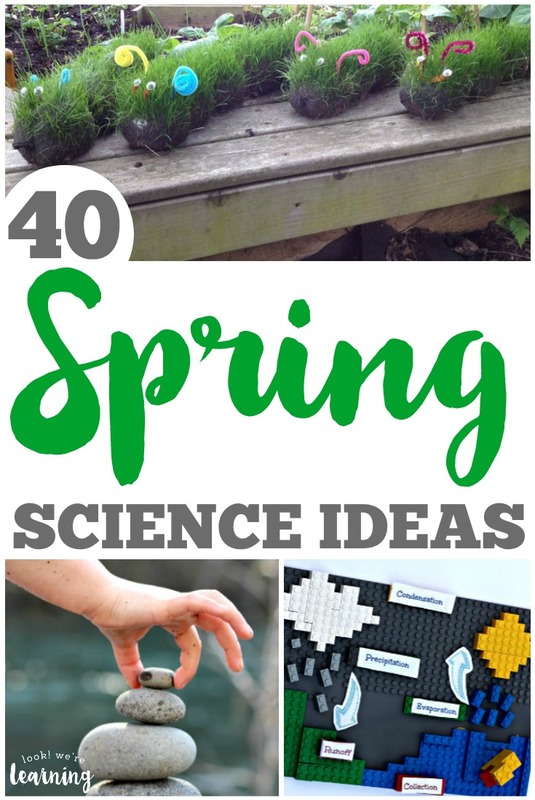 40 Fun Spring Science Ideas for Kids! - Look! We're Learning! Springtime is a great time of year to explore science with little ones! The weather is warming, the bugs are coming back above ground, and there are flowers growing everywhere! If you’re looking for a way to make science fun this spring, these awesome spring science ideas are just what you need! There are so many great activities for exploring plant science, water, animals, and even hands-on experiments you and the kids will love this spring! By the way, if you’re looking for even more fun spring activities, take a look at our rainbow playdough mats for fine motor practice! 1. Floating Egg Experiment – Look! We’re Learning! 8. Nature Scavenger Hunt – Crystal & Co.